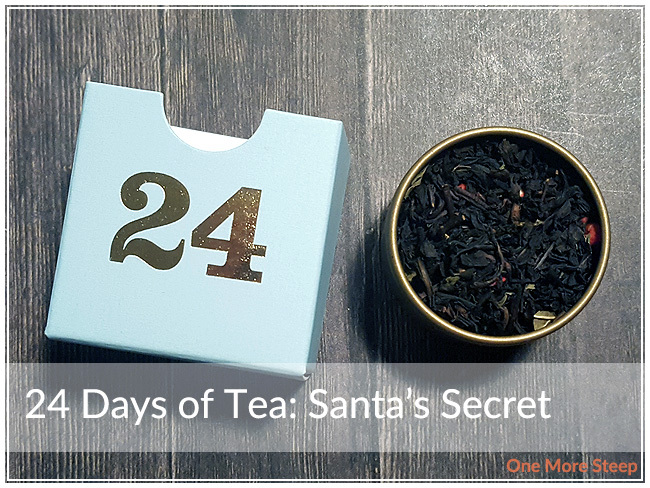 It is Christmas Eve, the first day of Hanukkah, and day 24 of the 24 Days of Tea advent calendar and the last tea is: Santa’s Secret. 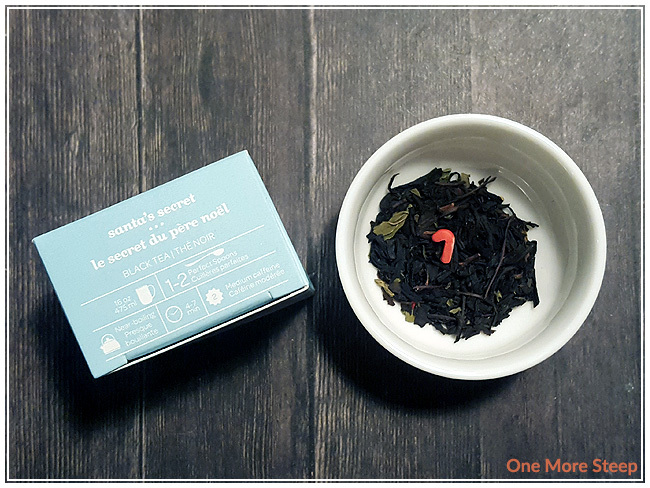 Santa’s Secret is one of the first teas that I tried at DavidsTea and one of the first teas that I bought from them. In a word, I would describe this tea as being “cute”. I really like the little candy cane sprinkles in it. The ingredients are fairly easy to see with the black tea leaves and the dried peppermint leaves mixed in. 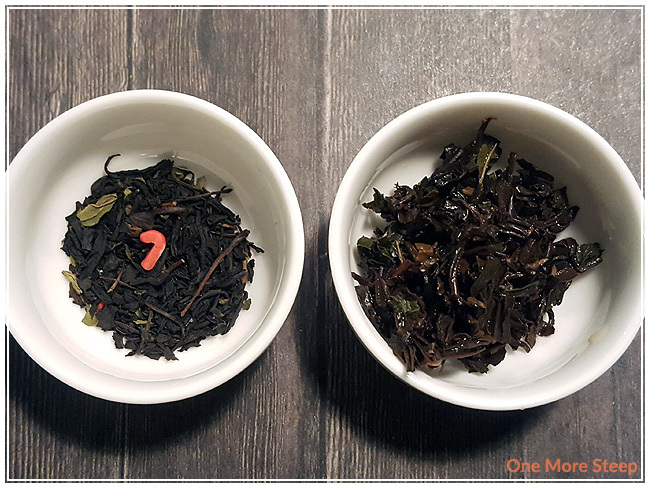 When smelling the dry leaf, the tea smells like mint and vanilla, the black tea base is fragrant as well, and tends to linger in the background a little bit but is very much present in the mix. The ingredients in Santa’s Secret are: black tea, peppermint, sprinkles, natural and artificial vanilla flavouring. DavidsTea recommends steeping Santa’s Secret in near-boiling water (90-95°C/194-203°F) for 4 to 7 minutes. I opted to steep my first pot for 4 minutes. While Santa’s Secret is steeping, there’s a noticeable minty and vanilla smell that comes from the tea. The vanilla reminds me a lot of Christmas baking because I like to use vanilla in my cookies. This tea definitely touches on all the holiday smells that are familiar to me! Santa’s Secret steeps to a golden orange. 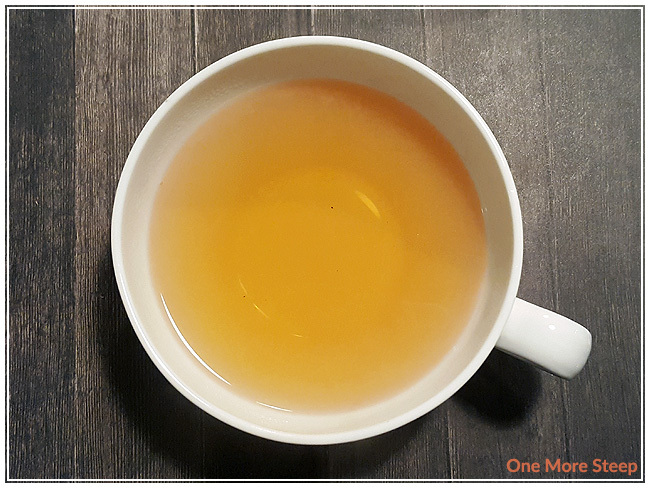 I find that the mint and vanilla flavours are less in-your-face when drinking the tea, as the black tea base is well balanced with the flavours. There’s a smoothness to the tea that is nice, no astringency or bitterness noted. 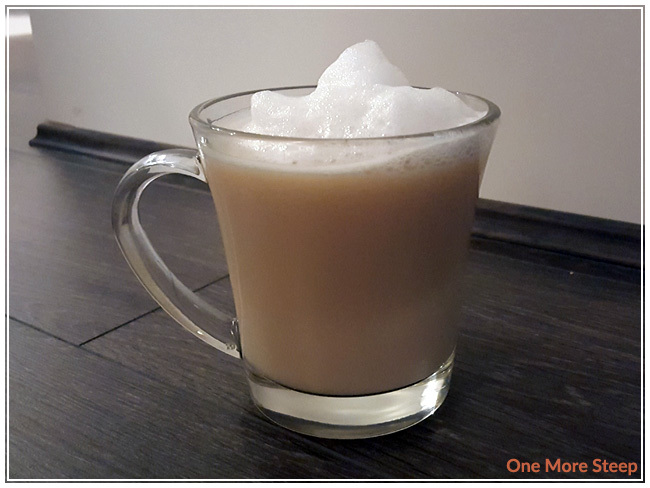 I find that a little touch of sweetener helps brighten up the mint and vanilla flavours in the tea, and I also make this one into a tea latte fairly frequently because it makes for a nice treat. The candy cane sprinkles don’t fully dissolve for me with the first steep. After a second steep (for 5 minutes), I find that the flavours are comparable to the first steep and the little candy canes are completely melted away. Santa’s Secret is good for one more steep. I find subsequent steeps to be lack in the vanilla flavour.